My name is Jennifer Johnson and I am from a small town in Indiana. I began writing at an early age and the passion has stuck with me. I published My first poem through a contest in WorldPoetryMovement.com and was included in "Stars of our Hearts". After graduating college that same year I went on to publish my own work called "One Mind's Words". My second book was created later in 2012 called "Our Journey" with my two step-daughters as well as a third poetry book “ One Mind’s Word’s II”.I have also contributed to “ Generations” and “ Best Authors of 2012”. All works are available on createspace.com, amazon.com, and kindle devices. I am currently working several novels. I was nominated in the "Who's Who" of literary arts and am a member of the Writer's Guild of Bloomington Indiana. My works can also be found on Poetry.com. I currently live in Indiana with my husband, two step-daughters, and two boston terriers. 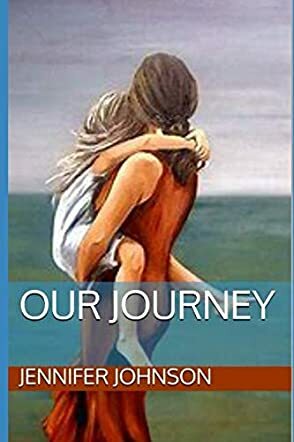 Our Journey by Jennifer Johnson, Hailey Johnson, and Jericha Johnson is a beautiful collection of poems based on relationships and family bonding, particularly between a step-mother and her step-daughters. It is about a family's growth and progress in their personal relationships. And it can be applied to all the relationships. I enjoyed all the poems in the book. The theme of relationships appears in all the poems and most of the poems make you feel that they are semi-confessional. The bonding between step-parents and step-children is explained. The poems are motivational and inspiring. The poets manage to express all the emotions. The language is simple and the poems are worded very well. They capture the essence of what the poets actually want to convey to the reader. My personal favorite in this would be 'Goodbye Child' where a mother speaks about how her child has left her childhood and youth and is beginning a new adult life. It is a feeling experienced by all parents, especially mothers when their daughters grow up. This collection is penned by three poets. All speak of family and bonding, the love shared between them. A few have sad emotions but they end on some positive notes, giving a feeling of hope to the reader. It's good to read poems penned by different poets in the same book. Similar emotions will be interpreted in different ways to the reader.